Once upon a time, there was a lovely little lady with straw-colored hair and enormous blue eyes. She was really a lady, Lady Caroline Maureen Hamilton-Temple-Blackwood to be exact. Born on July 16, 1931, her parents were Basil “Ava” Blackwood, Lord Dufferin and the former Maureen Guinness. They were glamorous, beautiful and clever. Caroline grew up in the grand Georgian mansion on the breathtaking family estate of Clandeboye in County Down, Northern Ireland. But life was not what it seemed. Caroline and her siblings would often ride their bikes through the estate- visiting their family’s numerous tenants in their small stone cottages. These poor Irish workers would give them food- because they were afraid the children were starving. You see, the Blackwood children, heirs to millions, had a gluttonous nanny, who stole their food. 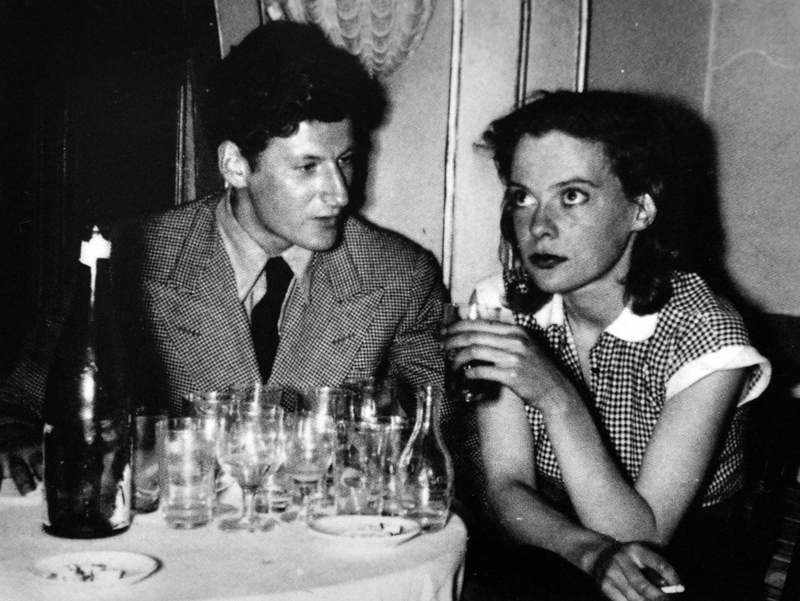 Their absent parents had no idea- Maureen was often in London, living a socialite’s life, and Basil was off fighting in Burma, where he died in 1945. Visitors from England were totally scandalized by the sight of these men in the formal dining room clumping round the table as they handed out the dishes of food with an unsteady gait that was made more noticeable by the fact that the black trousers of their liveries were tucked inside their mud-splashed wellingtons. Caroline’s sardonic perception is a hallmark of her writing. As the author of ten woefully underappreciated books, she spun her own type of fairytales, ripping off façades, both physical and emotional, to expose and then exaggerate the darker, more complex realities that lie beneath. Caroline and Lucian during their marriage. Her characters are masters of crafting an image for others that suit their own needs. In her first novel, The Stepdaughter (1976), the protagonist, known only as -J, compares herself to the “evil stepmother in Snow White.” High in her immaculate New York City penthouse, she fantasizes that her stepdaughter Renata, a “Humpty Dumpty of a girl,” has weight “monumental enough to bring the whole apartment building down.” Renata is a “teapot with a missing spout, “a compass that lost its hands.” Eventually, J figuratively- and literally- fantasizes Renata out of existence. Nowhere is the danger of believing in an image more evident than in Caroline’s masterpiece, The Last of the Duchess (1995), which she called a “study in the fatal effect of myth. A dark fairytale.” In it, Caroline recounts (and according to many involved, misremembers) her attempts in the early ‘80s to interview Wallis Simpson, the Duchess of Windsor. Simpson, then a widow in her eighties and in extremely ill health, had disappeared into her French home on the Bois De Boulogne. Her spokesperson (and many say jailer) was a fierce octogenarian French lawyer called Suzanne Blum, who was determined to remold the image of the fun loving, jet-setting Duchess into a dignified, hard-working, serious woman- much like herself. She could never have prophesied that while she lay dying, the microphone on which Edward VIII broadcast his famous speech would be displayed on British television. Mrs. Simpson could never have foreseen that the microphone itself would one day be able to make her late husband’s speech from a tape that has been cunningly inserted inside it, so that the public is now able to hear the microphone renouncing the throne “for the woman I love,” just as many times as they are interested to hear it. She could make one feel that there was an almost superhuman courage in the way she was not frightened to admit that the only thing she now hoped for from life was a continued consciousness, unpleasant as she well knew that it had to be. All she wanted from each new day that broke was the knowledge that she was still definitely there-that against all odds she had still managed to survive in the lonely, loveless vacuum she had created for herself. An elm doesn’t die like other trees you know, an elm dies from inside. An elm dies in secret. You should always remember to be careful when you walk underneath elms…they can just come toppling down with a fearful crash while all their branches still look glorious…once they are dead you can see how the rot has eaten into them so hideously that they are completely hollow. Caroline’s life was worthy of the glittering fairytales she loved to dismantle. 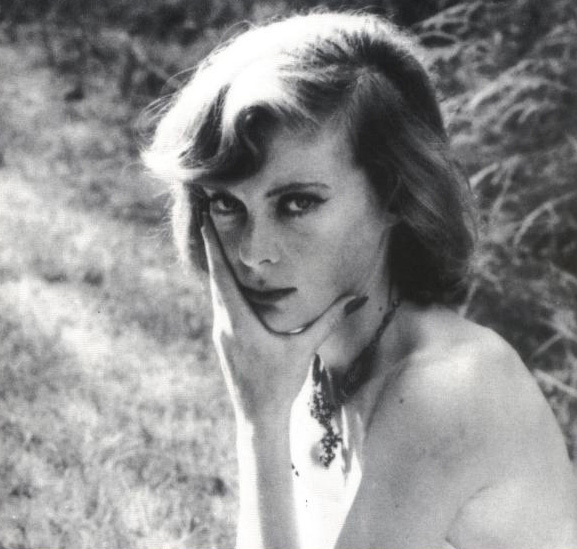 A great beauty, she was married to the painter Lucian Freud, the composer Israel Citkowitz, and the poet Robert Lowell. Lowell died in in 1977, in the back of a taxi cab, clutching Freud’s portrait of Caroline, “Girl in Bed,” in his arms. Her eldest daughter, Natalya, died of a drug overdose, and Caroline herself had a crippling, life long addiction to alcohol. She died in Manhattan on Valentine’s Day, 1996. What a black feast she would make of our increasingly image-driven world.